I am here and having fun at the annual 25th International Ms Leather weekend in San Francisco, CA. The big contest was last night. Sara Vibes of New York City is the new International Ms. Leather. She totally rocked her speech and her fantasy. 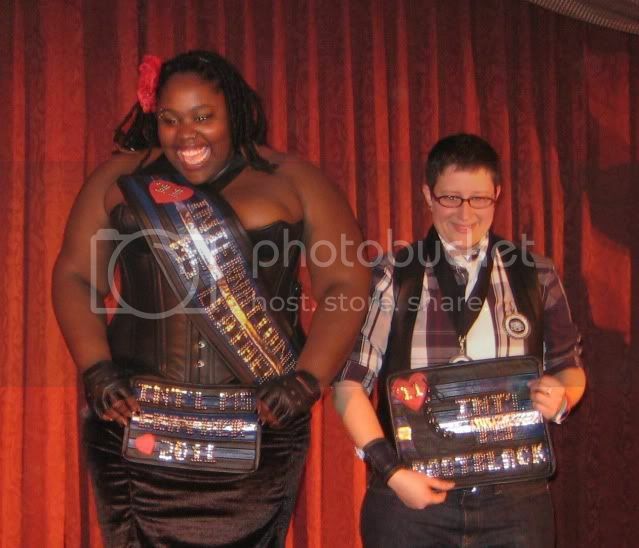 KD of Portland, Maine is the new International Ms. Bootblack. Congratulations to both of them!